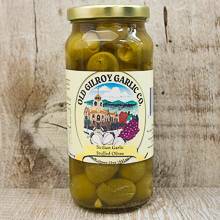 These garlic stuffed olives are made from the finest Gilroy Garlic and the tastiest olives in the San Joaquin Valley. Net wt. 10 oz. Ship wt. 3 lb.